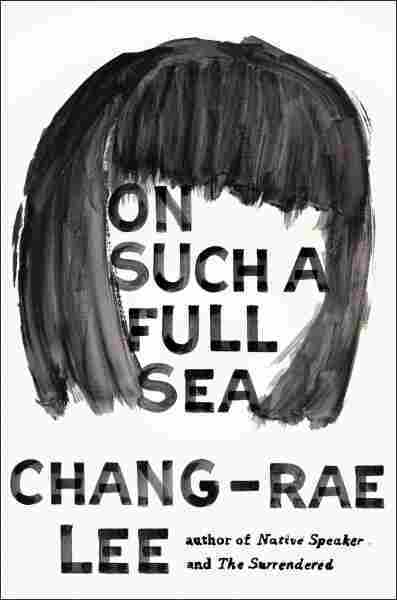 Exclusive First Read: Chang-rae Lee's 'On Such A Full Sea' Lee's upcoming novel is a dystopian tale, set in a future America where corporations have replaced a long-crumbled government, and Chinese immigrant workers have become a new laboring class, repopulating deserted cities. Chang-rae Lee's new novel, On Such a Full Sea, opens in a surprisingly contented dystopia: Hundreds of years in the future, the world has unraveled; in America, the government has crumbled and the population has fled. But its abandoned cities have been given new life by immigrant workers, moved in by big multinational corporations to provide pristine fish and produce to elite enclaves. In B-mor (once known as Baltimore), workers from China have built a relatively stable and prosperous community — though outside the walls of B-mor, the open counties are still lawless and rough. But despite its malls and entertainments, its sense of family and tradition, all is not well in B-mor. The stench of the open counties comes in over the high walls — and people have been disappearing. In this excerpt, our unnamed narrator lays out the rhythms of life in B-mor. On Such a Full Sea will be published Jan. 7. Everyone knows it is rough living in the open counties. In this region, where it can get both very hot and very cold, it's especially unpleasant. Though it seems that's most places now! Our elders will say there used to be whole seasons in between of perfectly glorious days. Now, of course, those days are few, mere intermittent glimpses of what seems to us a prehistoric world, when the air was drier and clearer and more temperate, when the scent of turned earth or wildflowers or crisp dead leaves made one think of time as a kind, calm clock, rather than a sentence. Here in B-Mor, along the runway-straight blocks, we can't avoid enduring the same extremes as in the open counties, but it is a blessing to note that we have numerous places to go for respite, like our indoor gymnasiums and pools, and the subterranean mall busy with shops and game parlors and eateries, where people naturally spend most of their free time. Because it's rarely pleasant out of doors, we've come to depend on the atmosphere of seasonally perfumed, filtered air and the honey-hued halo lighting and the constantly updated mood-enhancing music that all together are hardly noticeable anymore but would likely cause a pandemonium were they cut off for any substantial period. Last year, in fact, the very thing happened for several minutes because of a power plant mishap, and while we had air and backup lights, there arose in the dimness a distinct odor of cave, which was not so awful as it was alarming, for you couldn't help but realize that we were lodged in the innards of the realm. Eventually people stopped what they were doing and looked about, their mouths half open, awaiting an announcement. None came. Suddenly some people started running, the trigger unclear, and before you knew it, everyone was racing about, toddlers desperately yanked along, the elderly panting and trying to claw through the scattershot mobs, the young and fit sprinting as if the dogs of hell were chasing them. What panic in those corridors! What knife-in-the-heart terror! But then a great wheeze spewed from the ducts, and they rattled mightily, and then the banks of soft light revived and the old familiar songs that we never quite listened to reset us to the more tranquil rhythms of our souls. We're no longer fit for any harsher brand of life, we admit that readily, and simply imagining ourselves existing beyond the gates is enough to induce a swampy tingle in the underarms, a gaining chill in the gut. For there's real struggle for open counties people, for in a phrase the basic needs are met but not much else; the power is thready, constantly cycling on and off; housing is rudimentary, with shantytowns the rule; water is plentiful only during the wet seasons, and should be boiled at any time. And talking about smell! The system of sewers in the open counties (ours in B-Mor was redone as recently as ten years ago) dates from nearly two hundred years before our people arrived from New China, truly ancient times, such that after there's a heavy rain and the wind blows from the southwest, you can pick up from our very block the sharp rot stink of human settlement, that undying herald: We are here! We are here! We are here! We know you are there, believe us. Maybe Charters can easily forget what it's like out there, but we B-Mors and others in similar settlements should be aware of the possibilities. We shouldn't take for granted the security and comfort of our neighborhoods, we shouldn't think that always leaving our windows open and our doors unlocked means that we're beyond an encroachment. We may believe our gates are insurmountable and that we're armored by routines, but can't we be touched by chance or fate, plucked up like a mouse foraging along his well-worn trail? Before you know it, you're looking down at the last faint print of your claws in the dirt. But hold on, you might say. On our street, once called North Milton Avenue and renamed Longevity Way by our predecessors, who saw the nearly three-kilometer run of ruler-straight road and couldn't help but think of wondrously extended, if not eternal, life, the main infractions are spitting or littering or publicly relieving oneself, most always perpetrated by the very old and very young and those who overindulge on nights before their free-day. There hasn't been a property theft in recent memory, and a report of a serious crime, some mugging or assault, would likely halt all work and social activity immediately, for how exceedingly rare such a thing would be, like some solar eclipse. 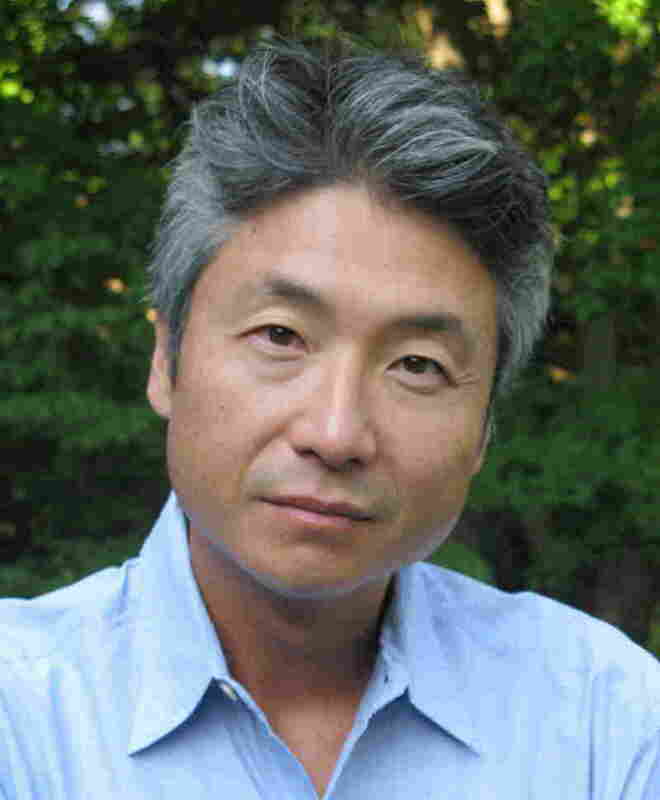 Chang-rae Lee won the PEN/Hemingway award for best first novel for 1995's Native Speaker. His most recent book was 2010's The Surrendered. So, yes, yes, you would be more than right. It's been nearly a hundred years since our originals arrived and fifty plus since the final reconstruction and incorporation of what B-Mor is today, and for all that time we have kept up the community, curbstone by curbstone, brick by brick, we have not let our windows get dingy or our brass knobs spot, we are always after our children to pick up after themselves in the playgrounds, we have not allowed anyone to shirk his or her duties or to become lazy and dependent. B-Mor works because we work, our sense of purpose driving us that extra measure, that extra hour, and then, of course, the knowledge of what's out in the counties and what it used to be like here before the originals landed refueling us whenever we flag. We know very well how it was because it's central to our schooling, a primary unit of our studies devoted to the history of B-Mor and the conditions that made it possible, and how B-Mor itself and other places patterned after it have in turn been stabilizing elements in this long-struggling land. There are times we need to remind everyone of those conditions, especially people like Fan's boosters who even now would be so misguided as to believe they can follow her example and simply step outside the gates and embark on some journey that will write itself on our houses and walls, like the murals our originals found splashed all over the deserted neighborhoods. Those murals depicted scenes of children dancing in circles, of teams of smiling, joyously laboring adults, of never-setting suns whose rays illuminated only acts of kindness and sharing. For aren't all such murals as bounteous in their hopes as in their scale? Aren't they expressions of the grandest wishes, which by definition will never come true? Now, from time to time, you'll see freshly painted portraits of Fan and Reg on the side of a row house or fence, hastily done in the night and clearly by different hands, though the eyes of the pair are always rendered so as to look at you squarely, relentlessly, like Fan and Reg never would have in real life, for how shy they both were. Their eyes like beams. And even though it's laughable, and the homeowner or some outraged neighbor immediately paints it over before anyone from the directorate can notice, they keep popping up regularly enough such that you are almost guessing where one will appear next. And if one doesn't, maybe you begin to picture it yourself. A legend can be made, it turns out, one crude stroke at a time. But we should pause, for the moment, in the tale of Fan, and of her dear Reg, and of the several others who would figure into the consequences of these travails. We need to remind all boosters, agitators, wonderers, wishers, of what it was like here when the originals landed. What did they first see, before B-Mor was B-Mor? Perhaps the most telling artifact is a picture that hangs prominently in our historical museum, right by the entrance. It's an enlarged image of one of our characteristic row houses, dating to the very year of arrival. The image shows the front façade of the house, its two narrow first-floor windows and the stoop leading up to the front door. On first view it's all trimmed up and neat, the brick face painted over in daffodil yellow, the sills in creamy white, the iron railing of the stoop a lean, rigorous black. The patch of sky in the upper corner reveals that it's later in the day, a cloud tinged reddish on its wispy belly, the summing impression being that this is yet another fine day in the neighborhood, and you wonder why the curators would display such a picture when the museum is all about the pivotal role of B-Mor, so much so that you're sure you've mistakenly read the date and that it's an image of the present time. What you can easily miss—and many younger B-Mors do—is that there's something odd about the second-story windows, which aren't reflecting the warm hues of the cloud but instead shimmer with an icy white-blue, like the most exotic, fantastical marble; and then you gather that they are not windows at all but plywood sheets painted as such, quite wonderfully executed trompe l'oeil; and on further examination, you can see a slit where one of the plywood sheets has come loose at a corner, and you now realize that the reddish light glowing behind it is only possible to see because this house has no roof, because it is open to the sky. Now, take this house, and the one next to it, and next to that, and you can see that even though they still have roofs, the continuous run of them on this block are similarly closed up with boards of wood and colorful paint. And as you move through the foyer of the museum into the cavernous main hall where there are banner-sized pictures that show other blocks like it in the same scale and then zoomed out, this block multiplied by scores, if not hundreds, you are struck by the fact that immense sections of this old harbor city are completely abandoned. Everyone has left, though not for the same reasons our predecessors had to leave their small riverside town in New China. By the time they departed, Xixu City was made uninhabitable by the surrounding farms and factories and power plants and mining operations, the water fouled beyond all known methods of treatment. Although the population of the town was only 300,000, the cars and trucks and scooters and buses easily numbered a million, and so along with around-the-clock coal and rare-earth excavation, the air never had a chance to clear. Then one day the provincial government could not transport in any more fresh water—fresh water was shockingly scarce even in the major cities—and so the town was forced to cease. Those who can remember the tales of the old-timers report that in the heydays it was as if the entire valley and everything in it were slowly scorching, all the rubber and plastic and alloys, all of what little real wood remained, all the rotting food and garbage, the welling pools of human and animal wastes, such that in the end it was as though the people themselves were burning, as if from the inside, exuding this rank, throttled breath that foretold of a tortuous, lingering demise. When our ancestors were first brought here—the archival vids and pix show them rolling in on fleets of shiny silver company buses—the air was to them fresh and clear, just like in the image of the roofless row house, and when they stepped out, they must have been entranced by the scant briny notes of the harbor waters, breathing them in deep. And think of how startled they might have been by the strange brand of tidiness in this place (once known as Baltimore) and other abandoned cities that settlers were sent to in other eastern and midwestern states, this preservation by dint of absence, such that after they gathered their luggage from the curb and were shuttled by carts to the houses assigned to them, our and your and Fan's forebears among them, their gasps were not of trepidation or disappointment but of gratitude and relief. After you tour the museum with the school groups and senior outings and those foreign visitors who come from time to time to study the society we've built, you could only emphatically agree to the leaps we've made. From the utter desiccation of the long-abandoned blocks, and the clearing and emptying of the huge city cemetery, to the early structures they were tasked to construct upon that plot, which would house the first truly uncontaminated grow beds that are nowa B-Mor trademark, and the parallel complex of fish tanks that were conceived later once the Charter villages officially organized themselves and boosted demand, we have drawn up the map, as it were, by our daily labors, and we etch it still. We should concede that unlike the experience of most immigrants, there was very little to encounter by way of an indigenous population. There were smatterings of them, to be sure, pockets of residents on the outskirts of what is now the heart of B-Mor, these descendants of nineteenth-century African slaves and twentieth-century laborers from Central America and even bands of twenty-first-century urban-nostalgics, all of whom settled the intimate grid of these blocks and thrived for a time and, for reasons that history can confidently trace and identify but never quite seem to solve, inexorably declined and finally disappeared. Our predecessors had the unique advantage of being husbanded by one of the federated companies, rather than the revolving cast of governmental bodies that overreached in their efforts or were disastrously neglectful, all of them downright clueless. The originals were brought in en masse for a strict purpose but with their work- and family-centric culture intact, such that they would not only endure and eventually profit the seed investors but also prosper in a manner that would be perpetually regenerative. And while all this is true, and uplifting, and everyone you might greet on a stroll down Longevity Way will automatically trill It is fine or It is right, one has to accept that deformations have appeared on the surface of our serene terra, where even the most positive feelings can begin to pool, and seep down through new fissures, and trickle away. For it's like this: soon after Reg disappeared and Fan departed, other people began to disappear, too. Not many, perhaps one or two a month, certainly no more. The difference was that these people were officially dispatched, the notifications, unlike Reg's, both posted in the grow house and also messaged to all of B-Mor. For example, there will be a general notification that James Beltran Ho, forty-four, has been dispatched, or that Pei-Pei Xu-Tidewater, twenty-nine, has been dispatched, or that an unnamed infant of the Reynolds-Wang clan of Bright Diamond Lane is now dispatched, information that we know not to inquire about further. But their relatives, unlike Reg's people, didn't go away. What was unusual, at least at first, was that they simply acted as if their loved one had died, just as if from a disease or unfortunate facility accident or old age, and even held memorial ceremonies in the customary way, inviting us, depending on the age and status of the deceased, to view the bodies, which were, of course, not there, just framed photographs of them. We would don our mourning costumes, wail softly or loudly as appropriate, burn paper offerings, do everything we're supposed to do; there was no difference in this regard. Everything was conducted as though life and death, as always, were ceaselessly trundling on, nothing to indicate that they had been instructed or directed to act the way they did, nothing to suggest they were forced to accede or comply. Perhaps it was the same with our originals, though in a different circumstance. They went about their first labors, renovating the row houses in the same way, it turns out, that certain antique American communities used to do, the foreman or forewoman of each block marshaling all its residents to converge on one address and revamp, say, the bathrooms or kitchen, the museum clips just like a science class vid of hundreds of ants tugging a sourball-sized rock. You can picture it now. They'd go from one house to the next, right on down the block, this mobile, instantly adaptive assembly line, each person assigned a function, with the children passing beach pails of dust and rubble in a brigade, the elderly offering sips of cool chrysanthemum tea from canteens, even the unwell propped up in chairs close by or even inside the site, so that they might lend moral support or learn by watching. Painters to the fore! or Tilers will proceed! the forewoman would brightly holler, and the troop would rush forward. Maybe the feeling in the group was reminiscent of the early days back in Xixu, before the river was blighted, before the hills were gouged away, before the province and country and world all discovered they craved a piece of us, when each soul recognized the face of every other and did not think it a belittling fact. Yet to go back to that moment would be a sentimental journey. We have grown up now, generations deep, generations strong. And have we not lasted long enough to dare say all the hopes of our forebears have come true? Have we not done the job of becoming our best selves? From On Such a Full Sea by Chang-rae Lee. Copyright 2014 by Chang-rae Lee. Excerpted by permission of Riverhead Books.